(L-R) Thompson, Matthews, Smith, Miles, Hernandez, Hernandez and Garza. 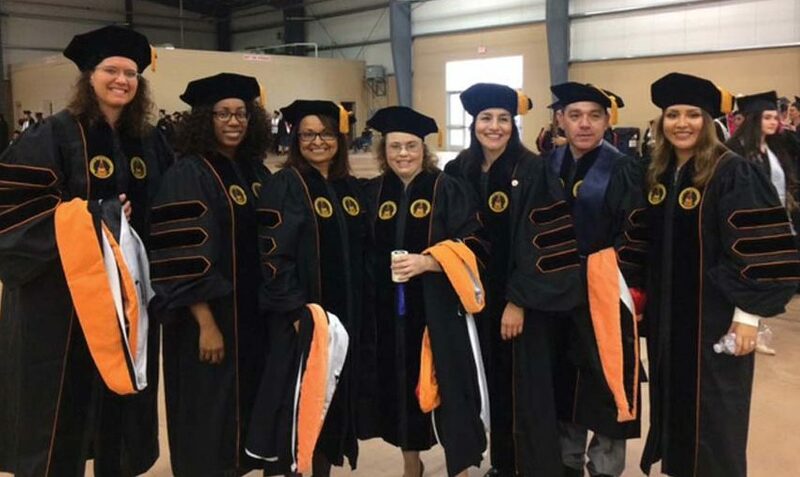 At the Fall 2016 commencement ceremony, the BSN to DNP track graduated its inaugural class. The graduates included Litzie Garza, Maricela Hernandez, Charlotte Matthews, Heather Miles, Rubeena Smith, David Hernandez and Laura Thompson.